Dorothy B. Enslow, 100, formerly of, Russell, died on October 15, 2017, at Maplewood Campus. Calling hours will be, Friday, October 20, 2017, 2 -4 and 7-9 PM, the funeral service will be Saturday, October 21, 2017, 10:30 am at the funeral home, Pastor Robert Browning, officiating, burial will follow in Crary Mills Cemetery. She is survived by sons, Herbert and his wife Carol Enslow of North Russell, Erwin and his wife Rosalie Enslow of Inter Laken, Gary and his wife Tracy Enslow of Brooktondale, daughters, Patricia and her husband Richard Dings of Ogdensburg, Shirley and her husband Leon White of Russell, Lorna and her husband Gary Stevenson of Russell, Gloria and her husband Ronald Jennings of Canton, Diana and Steven Cook of Hermon, a son in law John Holly of Edwards, a daughter in law, Avalon Enslow of Hermon, many grandchildren, great grandchildren, great great grandchildren, several nieces and nephews. She was predeceased, by a son, Theodore Enslow in 1998, a daughter, Diane Holly in 2012, a grandson, Michael Holly, siblings, Milford Basford, Kenneth Basford, John Basford, Milton Basford, Mildred Cota, Hilda Thomas, Helen LaPoint, Geneva Basford, Sadie Grimshaw. Dorothy was born on February 16, 1917 in Canton, the daughter of the late Harrison and Lorena Lincoln Basford. She married Howard Enslow on February 20, 1935, he died on June 25, 1993. 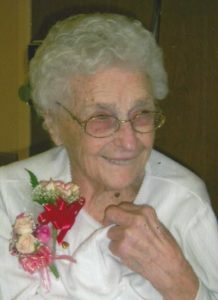 She and her husband farmed for many years on West Road in Russell, she also worked at Barlow’s Nursing Home in Canton as an aide, at the St. Lawrence County Jail as a cook and sitter. She turned her home into a certified boarding home “Enslow’s Home” for 25 – 30 years, she retired in July 1994. She was a former member of the Russell Senior Citizens, Russell Fire Department Ladies Auxiliary. She loved crocheting, knitting, quilting, and playing Pedro. In lieu of flowers contributions can be made to American Cancer Society or Hospice and Palliative Care of St. Lawrence Valley. 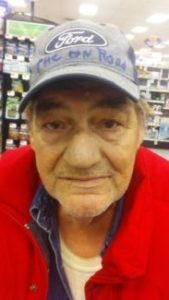 Chester R. Rathbun, Sr., 70, of, Star Lake, died on October 3, 2017, at his home. The funeral service will be, Friday, October 6, 2017, 2:30 PM at the funeral home, Pastor Ben Levendusky, officiating, burial will follow in Hermon Cemetery. Friends and family are invited to a gathering at the Russell Town Hall after the service at the cemetery. He is survived by sons, Chester R. Rathbun, Jr. of Watertown, Chester R. and his wife Elizabeth Rathbun Jr. of Canton, Christopher and his wife Jennifer Rathbun of Watertown, Justin Rathbun of Watertown, daughters, Elizabeth M. Rathbun and fiancé James Farnsworth, Laura Gallo and boyfriend Paul Pinto Jr. of Springfield, Vermont, a brother, Thomas and his wife Sharon Rathbun of North Lawrence, sisters, Arlene Fifield of Gouverneur, Helen Macy of Plattsburgh, 11 grandchildren, several nieces and nephews. He was predeceased, by siblings, Benjamin Rathbun, Raymond Rathbun, Charles Rathbun, Robert Rathbun, Edward Rathbun, Nora Mae Rathbun, Alice Cross, and Linda Gonyea. Chester was born on May 10, 1947 in Plattsburgh, New York, the son of the late Norman E. and Elizabeth M. LaFountain Rathbun. Marriages to Diane Russell and Cindy Guyette ended in divorce. He was a laborer for Fisher Price in Keyesville, New York. He loved being with his grandchildren, scrapping metal, fishing, and hunting. In lieu of flowers contributions can be made to the Roswell Park Cancer Institute.